This case serves as a reminder to Ontario employers to carefully draft the termination clause upon which they intend to rely when dismissing without cause. The Plaintiff in this case, Noah Amberber (“Amberber”), began work with Team Detroit in September 2000. In early 2015, IBM acquired Team Detroit and offered continued employment to Amberber. In so doing, IBM, expressly recognized Amberber’s prior service for the purposes of severance. If you are terminated by IBM other than for cause, IBM will provide you with notice or a separation payment in lieu of notice of termination equal to the greater of (a) one (1) month of your current annual base salary or (b) one week of your current annual base salary, for each completed six months worked from your IBM service reference date to a maximum of twelve (12) months of your annual base salary. This payment includes any and all termination notice pay, and severance payments you may be entitled to under provincial employment standards legislation and Common Law. Any separation payment will be subject to applicable statutory deductions. In addition, you will be entitled to benefit continuation for the minimum notice period under applicable provincial employment standard legislation. In the event that the applicable provincial employment standard legislation provides you with superior entitlements upon termination of employment (“statutory entitlements”) than provided for in this offer of employment, IBM shall provide you with your statutory entitlements in substitution for your rights under this offer of employment. In April 2016, IBM made the decision to dismiss Amberber from employment as part of broader strategy to reduce costs. As such, by letter dated April 19, 2016, IBM informed Amberber that his employment would end effective July 8, 2016 (11 weeks, 3 days of working notice) and that he would further receive 18 weeks of base salary as a severance payment (for a total severance package of 29 weeks, 3 days). As of the date of dismissal, Amberber was 57 years old, and had recognized service with IBM totalling 15 years and 10 months. In June 2016, counsel sent a letter to IBM on Amberber’s behalf advising the company that it had failed to comply with the requirements of the Termination Clause, and that regardless the Termination Clause was unenforceable. IBM failed to respond to the letter. Consequently, in August 2016, Amberber commenced a claim seeking damages for wrongful dismissal. Over two months later, on November 4, 2016, IBM made an additional payment to Amberber reflecting unpaid contractual termination payments. 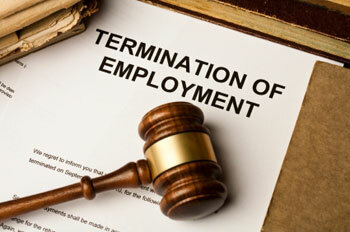 IBM failed to comply with the requirements of the Termination Clause, and as such, was unable to rely on it. The inclusive payment provision immediately follows the options provision. Clearly, the inclusive payment provision applies to the first part. This case serves as an important reminder to Ontario employers to carefully draft the termination clauses upon which they intend to rely in the event of a without cause dismissal, or risk unintended liability. The courts are increasingly holding employers to a high degree of clarity in assessing whether a termination clause successfully rebuts an employee’s presumed entitlement to common law reasonable notice.